Security Federal Bank was founded in 1922 in picturesque Aiken, South Carolina. Since then, they have stuck to their motto: “Do what’s in the best interest of the customer.” In addition to a full line of personal and commercial banking products that includes mobile banking, online bill payment and mortgage products, Security Federal Bank offers an expansive program of financial literacy education. Their Looney Tunes Savings Club helps elementary school students learn about savings, while their Financial Counseling Department assists adult customers who need education or help in handling personal finances. 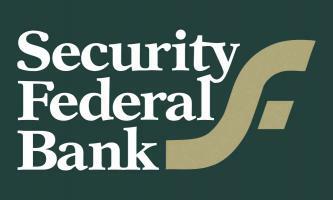 Security Federal Corporation, the holding company for Security Federal Bank, announces its earnings for the quarter. Notably, for the six months ending on June 30, 2018, net income increased by 14.3 percent to $3.6 million or $1.20 per share, compared to $3.1 million or $1.06 per share for the same period in 2017. The increase in earnings was primarily due to increases in net interest income and non-interest income combined with a decrease in the provision for income tax expense.